Thought spring was on the way? It might be too soon to pull out that sundress as eight inches of snow are set the hit the Big Apple tomorrow. According to meteorologists, a possible Nor’easter is on course to hit the Northeast midweek. 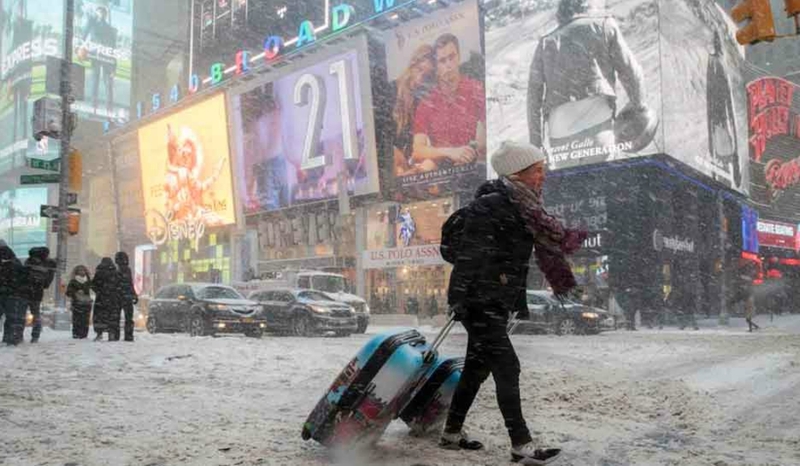 New York City should prepare for anywhere between 4 and 8 inches of snow while areas north and west of the city might see upwards of one foot. Long Island will most likely see coastal flooding. While this storm won’t have the same effect as last week’s bomb cyclone, it will likely cause damage and slow down the clean up process from last week. Meteorologists suggest preparing for travel delays but predict that the storm will fizzle out by Thursday.